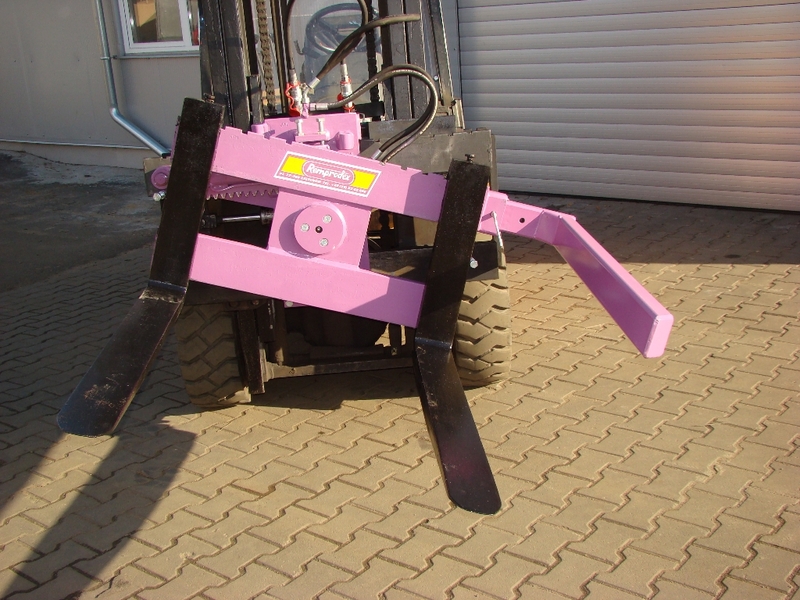 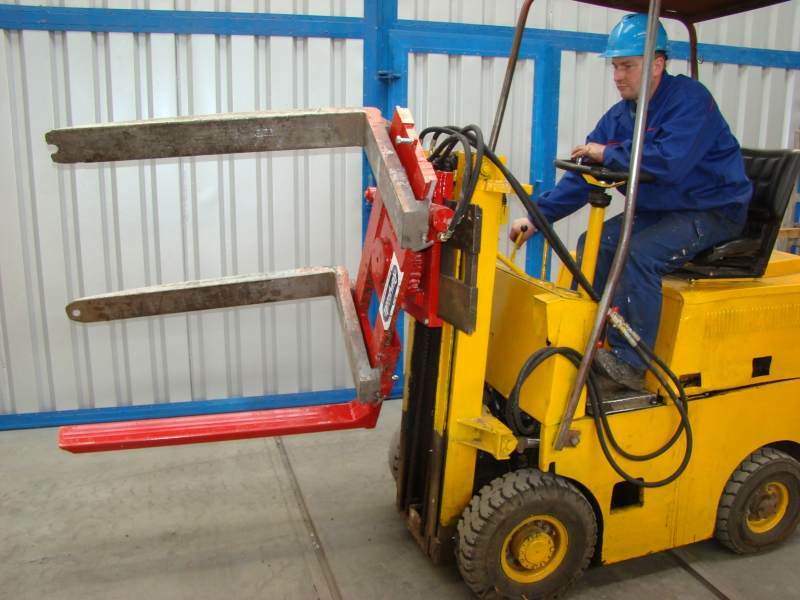 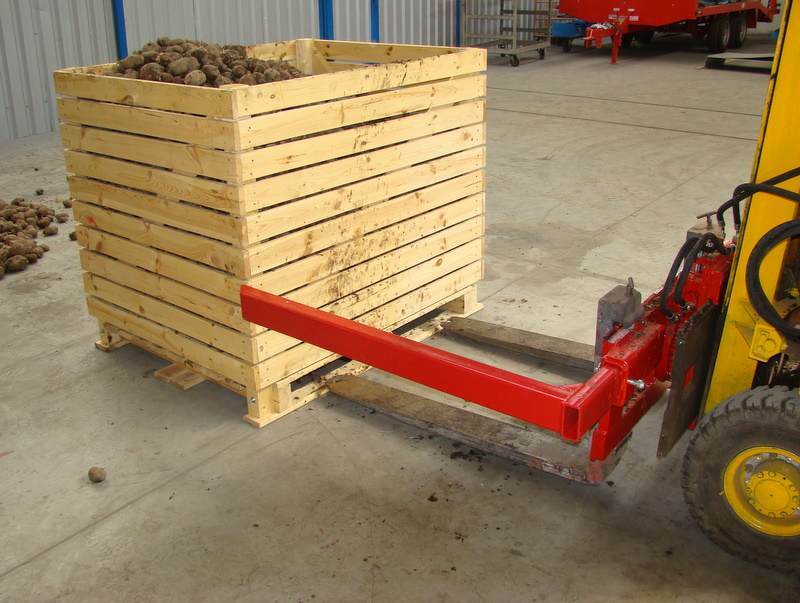 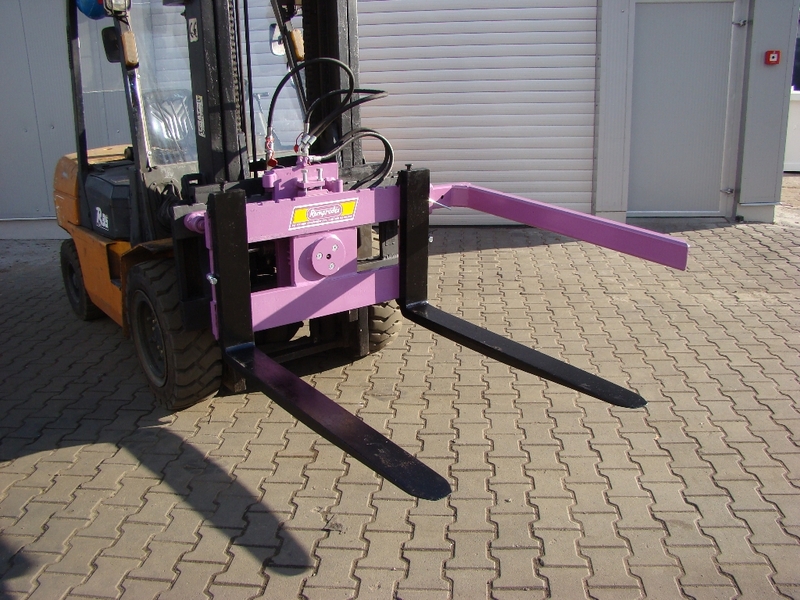 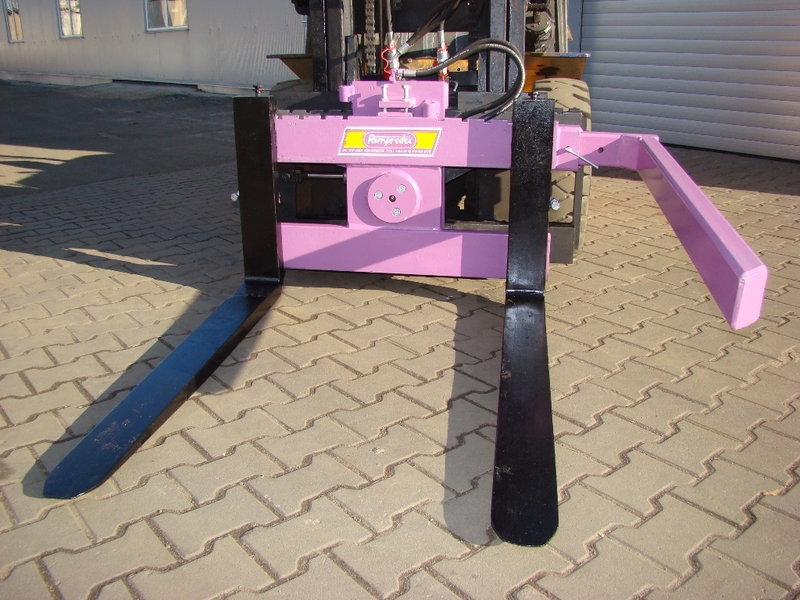 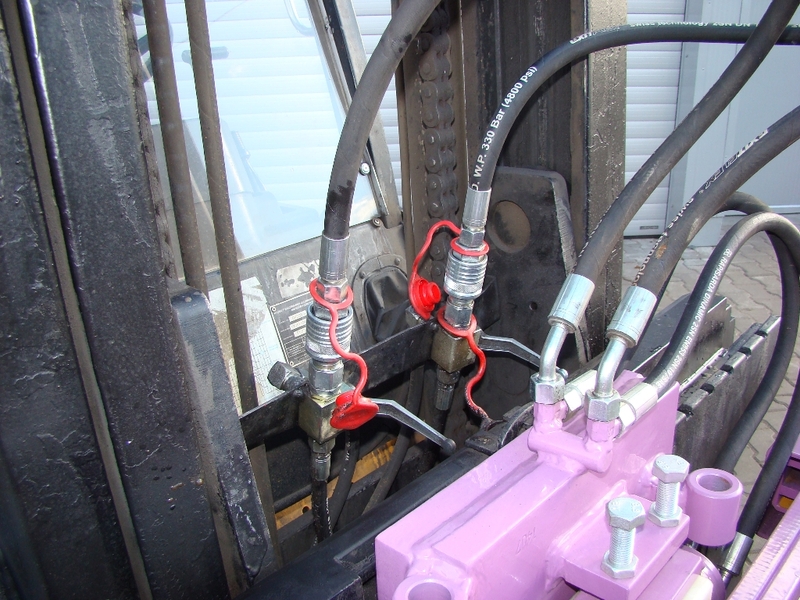 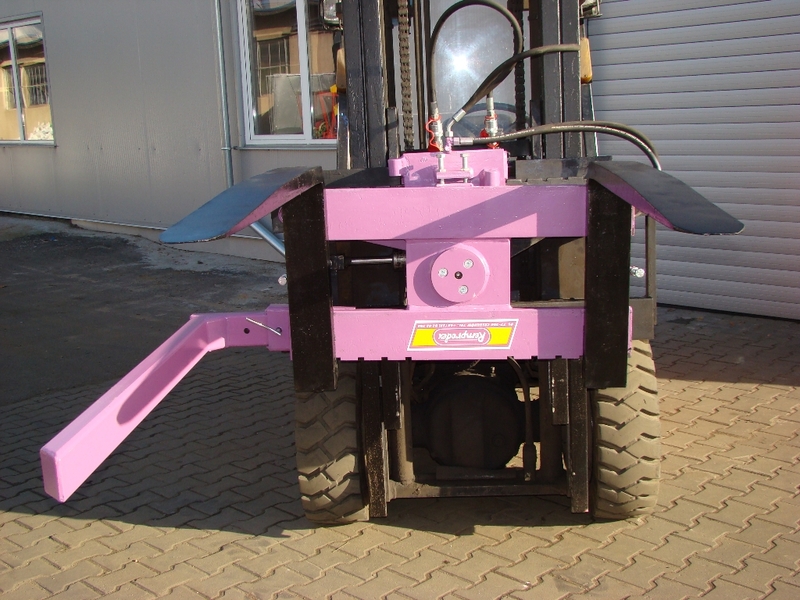 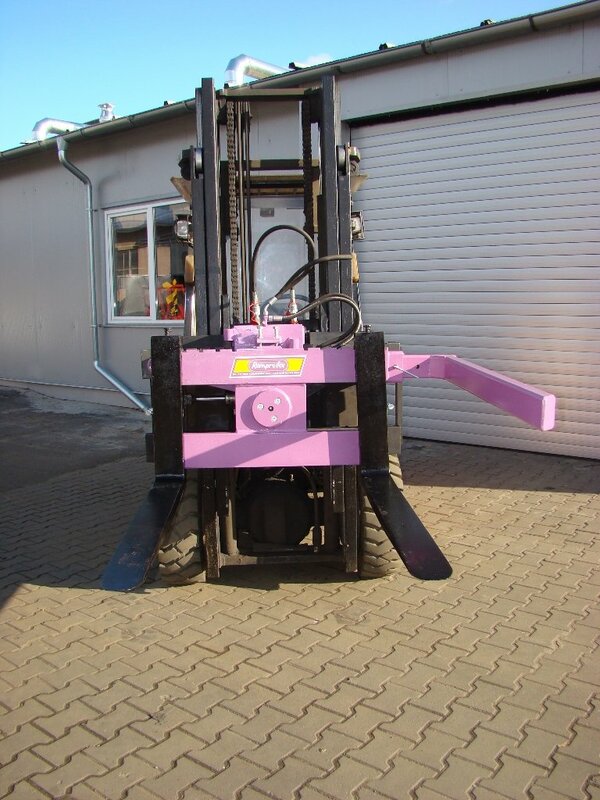 Box turning equipment for fork lift trucks is used to empty box-palettes. 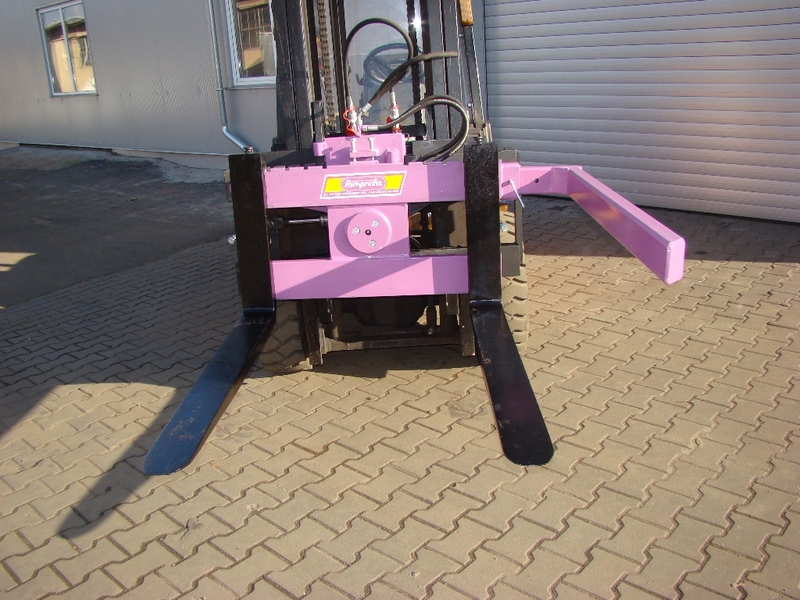 Equipped with one supporting arm. 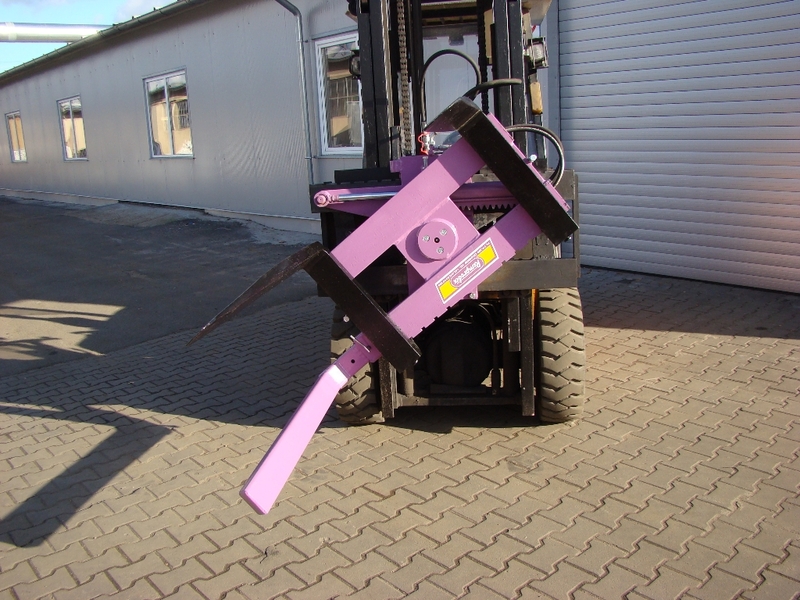 We can also perform additional arm, which provide “left” rounds.